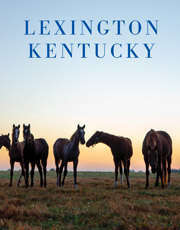 Enjoy world class golf courses at affordable prices in Lexington, Kentucky. Our temperate climate makes year round golf a possibility, and the setting is unforgettable. Spend a day, or two, with friends, surrounded by the legendary landscape of the Horse Capital of the World.